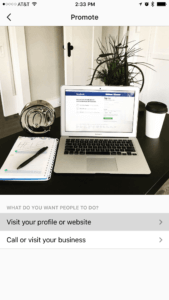 What Is Instagram and Why Advertise On It? Let’s face it, not every business owner is a social media whiz and that’s OK. There is simply not enough time in the day to run a business and simultaneously keep up with the constant litany of new social media platforms and features. So if you have been resisting getting up to speed with Instagram – we get it. That being said, it’s time. With $3.64 Billion in expected revenue this year and more than 700 Million users, Instagram is here to stay. 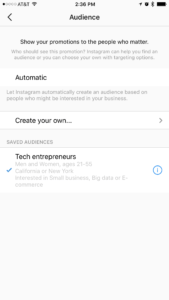 Not every business is going to be able to make Instagram work as an advertising platform but millions do and it’s worth a bit of research to determine if Instagram is a good fit for your business. 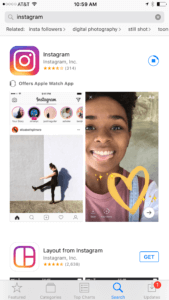 We have you covered – everything you need to know to quickly get up to speed and start thinking about whether Instagram could be a new source of customers for your business. Instagram is a social media platform dedicated to taking and sharing photos and videos. 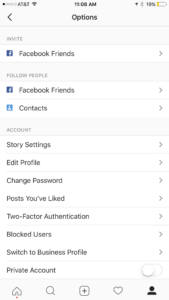 Users can capture, edit, choose filters, and share photos or videos with their followers. Recently added features include sharing “temporary” stories (short videos that expire after 24 hours) and even live video broadcasts. 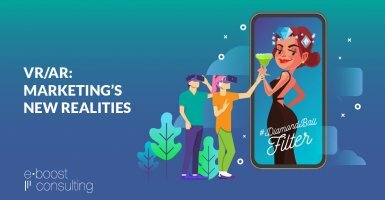 The platform also enables the discovery of new content through search functionality and hashtags and the ability to interact with other Instagram users via likes and comments, making Instagram an ideal platform for promoting brands and engaging with customers. On October 6th 2010 founders Kevin Systrom and Mike Krieger launched Instagram. By the end of the first day 25,000 users signed up for the service. 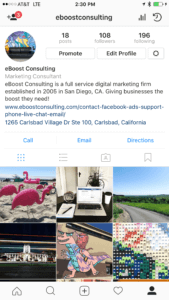 Not long after, in 2012, Facebook bought Instagram for $1 billion recognizing the platform’s popularity and potential for mobile ads. Today, Instagram’s popularity continues to surge with more than 700 million active monthly users, over 40 billion photos uploaded to date, and no signs of slowing down any time soon. So who are these millions of people uploading and sharing billions of photos? They are using mobile devices. Instagram was specifically designed for mobile. Over 50% of people between the ages of 18-29 use Instagram. Over 33% of people between the ages of 30-49 use Instagram. By the end of 2017 over 70% of brands are expected to use Instagram. Instagram is described by the founders as “a global community.” That’s not surprising as 80% of users are outside the United States. Still, the USA has the most users of any single country – around 140 million US-based users. Nearly 50% of brands are on Instagram. By the end of 2017 70% of brands are expected to use Instagram. Most Instagram users make $50,000/year or more (56% of users), a quarter of all Instagram users make $75,000/year or more. 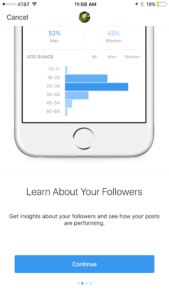 Instagram provides access to hundreds of millions of engaged users in key demographics. Advertisers are taking notice. 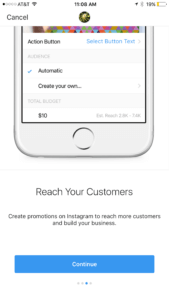 Forbes recently reported that Instagram now has 1 million advertisers and more than 8 million business pages. 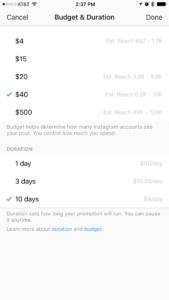 Beyond the pure reach of the platform, advertising on Instagram offers some other appealing benefits to advertisers. 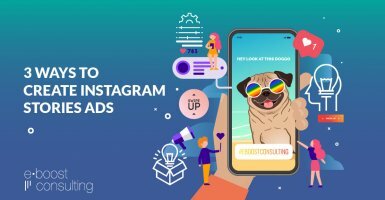 Instagram is a Facebook-owned platform, meaning advertisers can create and run campaigns on both platforms simultaneously – saving time and resources. 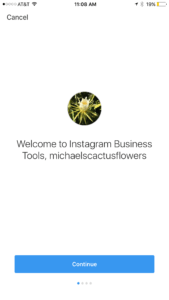 An Instagram business account offers access to highly useful business tools. Instagram is known for exceptionally high user engagement, after all “a photo is worth a thousand words”. 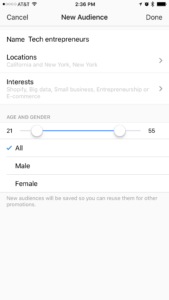 Instagram’s explore search & explore feature exposes users to content they might like from accounts they don’t follow, exposing your brand to millions of people around the globe. The platform can be used to promote a “behind the scenes” perspective and help you build your brand. You might think only businesses with a photo-centric product could derive value from Instagram such as photographers, restaurants or hotels. 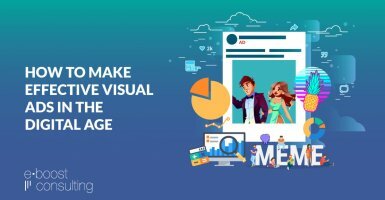 But we can say from experience that almost any business – small, large, local, national, B2B, B2C, even those with seemingly “boring” products – can benefit from a presence on Instagram. You just need a little creativity and the commitment to test new things and see what works. 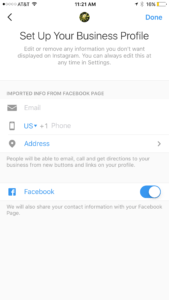 By creating a business account (must connect to a Facebook Page) you can learn more about your followers, measure performance, easily create promotions on your mobile device, and make it easier for people to get in touch with you with unique contact features. 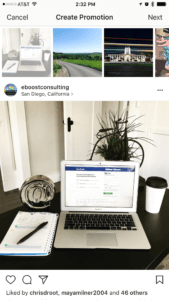 Below are 5 easy steps to create a business account on Instagram. If you haven’t already done so, begin by downloading the app on the iPhone App Store or Google Play. Log in to your account or set up a new account. Go to settings and select “Switch to Business Profile“. 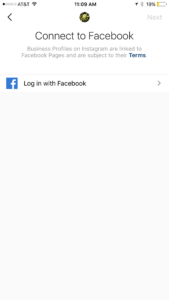 Next, you will be prompted to connect your account to your Facebook Page. 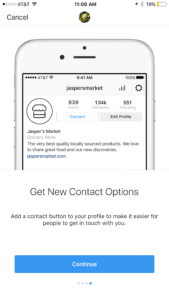 Enter your business contact details and enable customers to contact you directly via Instagram. All set! You may begin creating promotions and get useful insights about your customers. First, start off by taking some pictures with your camera phone, following some other related accounts and getting familiar with the platform. Use the search function to find accounts and hashtags that are related to your business. Once you get the hang of it and have at least a few photos uploaded to your account, you can begin testing out some advertising campaigns. 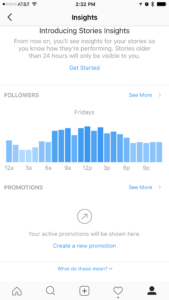 Advertising on Instagram is easier than ever. 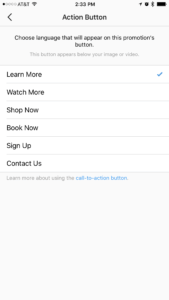 Now you can start promoting your brand directly from your mobile device. 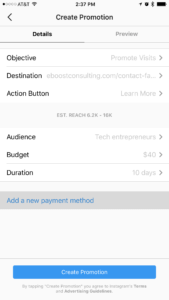 Our step by step guide below will help you set up your first Instagram ads. Go to your profile and press the insights button. Select “Create a new promotion“. Select the image or video you would like to use for your promotion. Select your campaign objective – Depending on your business and your advertising needs, you can direct more traffic to your site or have prospects call/visit your business. 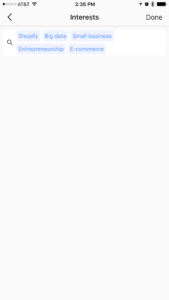 Select the most appropriate action button for your ad. Now it is time to select your audience. 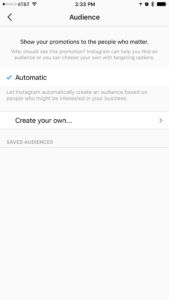 As a default, Instagram will automatically select an audience, however we recommend creating your own audiences. By creating your own audience you can target specific audiences that are most likely to engage with your ad. Remember there is no right or wrong audience, it is important to identify your customer profile and test, test, test! Choose a budget and the duration of your campaign. 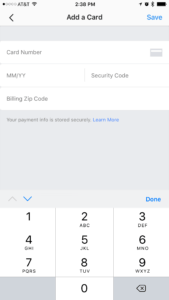 Add your payment method. 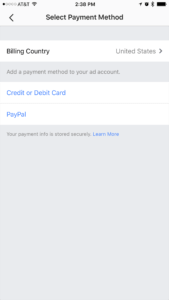 You can use Credit or Debit cards or alternatively use PayPal to pay for your ads. 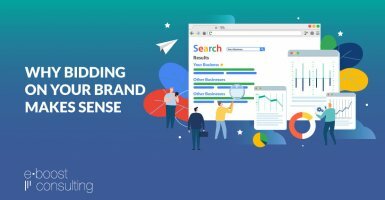 Review your campaign and launch! The standard size of an image on Instagram is 1080px by 1080px however it is possible to upload other sizes and simply resize. It is also possible to create a Carousel Ad – multiple images, which are uploaded under a single post. 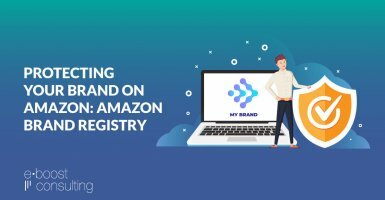 This type of post can provide additional perspectives and is especially useful for eCommerce because you can show multiple products or multiple product views at once. 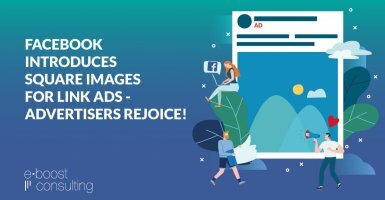 Recently, Facebook expanded its Canvas Ad format to Instagram – enabling marketers to showcase full-screen sized creatives. Videos are especially engaging on Instagram but are limited to 60 seconds. If the “standard” video post is not engaging enough, it is now possible to create live video feeds with your audience. Now that you have your first campaign created it’s time to launch it out to the world and see how it does. The crazy ad you thought would never work could be your best performer. The sure thing you just knew would drive hundreds of sales could fall flat on its face. As with any digital advertising campaign the key is in gathering data, removing what doesn’t work, doubling down on what does, and continually testing new ideas on a regular basis. Feeling overwhelmed? 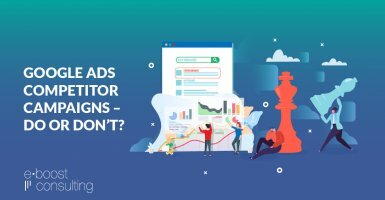 We will have plenty of future posts on advanced optimization techniques or you can always hire an Instagram Ads Management Firm to help you out. But for now just try to put yourself in the shoes of your target customer and think what they would want to see when interacting with a business such as yours on social media. You can never be too customer-focused when it comes to social media. Be honest, be yourself and provide real value. The sales and revenue will grow from there. Instagram has quickly become one of the largest social media platforms in the world. Your customers and new potential customers are there – it’s just a matter of showing up yourself and starting to interact with them. 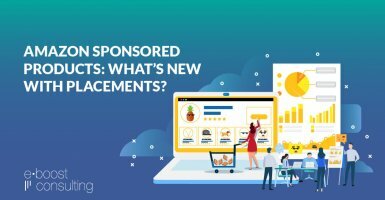 Paid advertising can be a great way to grow your following as you’re just starting out and expand your reach more quickly once you’re up and running. Follow us on Facebook & Instagram more tips & useful information about social media marketing.